< PREVIOUS Plantar Plate Surgery for Angels’ Slugger Albert Pujols | article | NEXT >‘Tis the season to be….Gouty? Hammertoes are toes that curl or buckle due to a muscular imbalance in the foot. This deformity may be flexible at first but eventually it can develop into a rigid and fixed deformity, causing pain and irritation. With the toe fixed in a buckled position, it often rubs against shoes causing a callus that can grow thick and increase pain. For people with diabetes or poor circulation, the callus may open into a sore putting them at risk for infection and possible amputation. Hammertoes are caused from a muscular imbalance in the foot. There are several muscles and tendons that stabilize the toe and keep it in alignment. If there is a weak muscle group in the lower leg, another muscle group pulling at the toe will overpower the weak muscle group and cause a toe deformity. Some muscle groups may need to fire stronger than usual to help stabilize the foot during gait. This can cause an imbalance in the muscle groups as well, causing hammertoes to develop. This is most common in people with flat feet. Due to the collapsing arch, muscles that help to increase the arch in the foot fire more than normal to support the arch. This causes a muscle imbalance at the toes, causing the toes to buckle. Preventing hammertoes involves correcting the muscle imbalance before it can cause deformities in the toes. 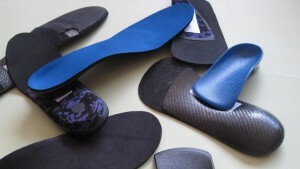 I would recommend custom orthotics or insoles that go into a shoe. These inserts support the foot to reduce the pull of the flexor tendons on the toes, thereby preventing hammertoes. Making sure shoes are wide and deep enough to accommodate your toes. Flip-flops can lead to hammertoe deformities as well, especially if they are heavy. Toes will often curl to grab onto the flip-flop in order to keep it on their feet during gait. Over time, this can lead to hammertoe development. Treatment for hammertoes depends on the flexibility of the deformity. Flexible deformities can often be alleviated with an orthotic or insole which helps to re-balance the abnormal forces on the toe. Toe splints can also be worn to help realign the toes. Rigid deformities are more difficult to correct conservatively. Offloading and padding the areas of concern can accommodate lesions on rigid deformities. However, the deformity cannot be reduced or corrected unless surgery is performed. During surgery there are a number of procedures that can be done depending on the severity of the deformity. The type of surgical procedure depends on a number of factors in the clinical exam and radiographic findings. To correct the toe deformity with surgery, part of the bony prominence will often need to be removed to help realign the toe and to decompress the joint contracture. The bones may need to be fused together to improve function of the toe. Additionally, tendons and ligaments can be rebalanced to eliminate any muscle imbalances that may have originally caused the hammertoe. It is important to have the toes evaluated by a foot and ankle specialist to see what the best treatment option is for you. The physicians at University Foot and Ankle Institute are nationally recognized authorities in the treatment of hammertoe deformities. 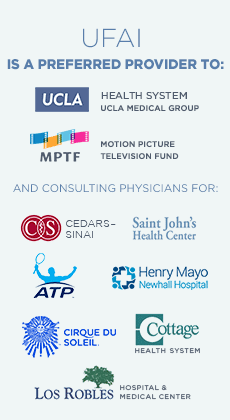 If you would like more information or would like to schedule a consultation with one of our foot and ankle specialist, please call (877) 989-9110 or visit us at www.footankleinstitute.com. Next: ‘Tis the season to be….Gouty? My toe has been getting worse and worse over the past few months. I think I might be developing a hammertoe. I run a lot, and it is causing a lot of problems for my activity level. I didn’t realize that having flat feet could cause a hammertoe. I have very poor arches, I wish I would have known that earlier so I could have taken some preventative measures.